Galley Mess is what my husband's family calls this quick and easy breakfast casserole. I love the name almost as much as I love this dairy and gluten free breakfast casserole. I like to use ham as the meat; however, my Mother In Law likes to cook and drain sausage as the meat. Feel free to use what you like best. I like to use duck eggs for a portion of the eggs in this dish as I feel it adds a richness to the casserole. However, the duck eggs are not necessary if you cannot find them. Galley Mess is a very forgiving dish that is easily adapted to meet your needs and desires. My husband loves it topped with salsa for an extra punch of flavor. Don't be put off by they large amount that this makes. Simply cut into serving sized pieces and reheat for a quick and easy on the go breakfast during the week. The night before place the frozen O'Brien Potatoes in the refrigerator to thaw. Lightly spray a 9 x 13 glass baking dish with cooking spray. Place the frozen O'Brien Potatoes in an even layer in the bottom of the dish. Top with the breakfast meat of your choice in an even layer. We like to use a nice lean diced ham, but feel free to use cooked sausage or bacon as well. The meat may also be left out or replaced with 1 lb of frozen defrosted spinach that has been squeezed to remove as much moisture as possible for a vegetarian option. Top with the shredded "cheese" in an even layer. 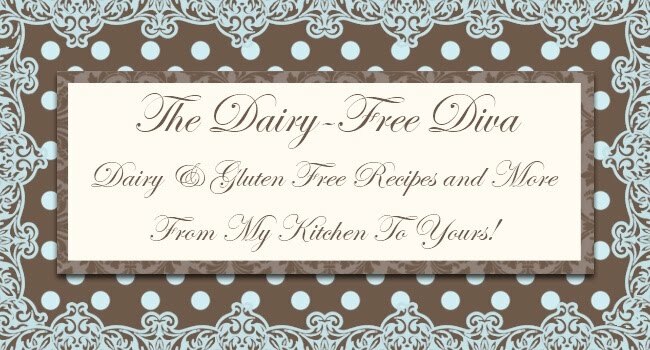 If you tolerate dairy use that or if you prefer use a dairy free cheese option. We omit the cheese; however, it is traditional for this dish. In a large bowl, whisk together the eggs with some salt and pepper. I like to use 1 dozen chicken eggs with 1/2 dozen duck eggs when possible. If duck eggs are not available use 20 chicken eggs. Pour the eggs evenly over the casserole. 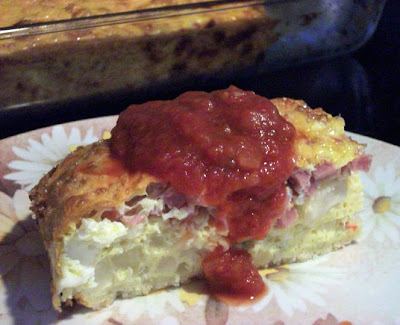 Bake the casserole for about 1 hour or until the eggs are set and the top is lightly browned. Cut into pieces and serve topped with salsa if desired. Oh my! This looks yummy! I can certainly use my home made sausage or even beef bacon with this since I can't use pork! Yum! !